LaSalle Dining Table Collection features a unique industrial design with a wire brush finish touch. 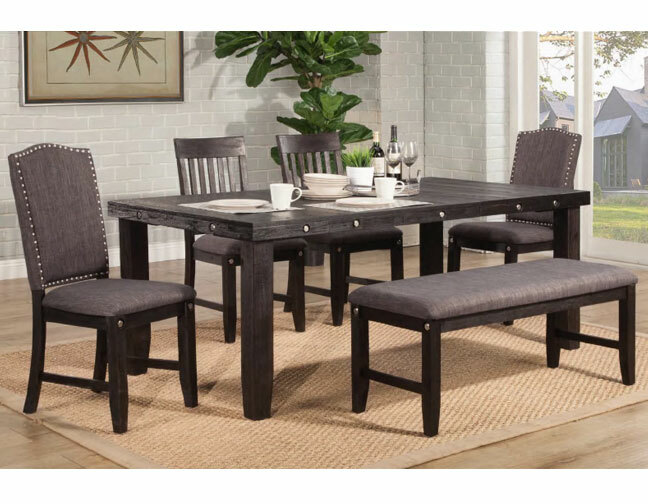 This dining table sits at 60" but can extend to 78" when hosting your friends and family. 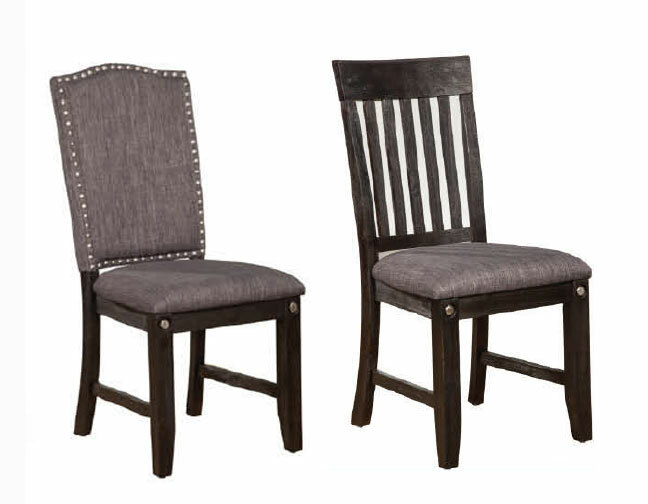 The dining chairs feature unique dark grey linen seating with a brush silver nail-head trim accent with a bolt at the front legs enhance the beauty of LaSalle. 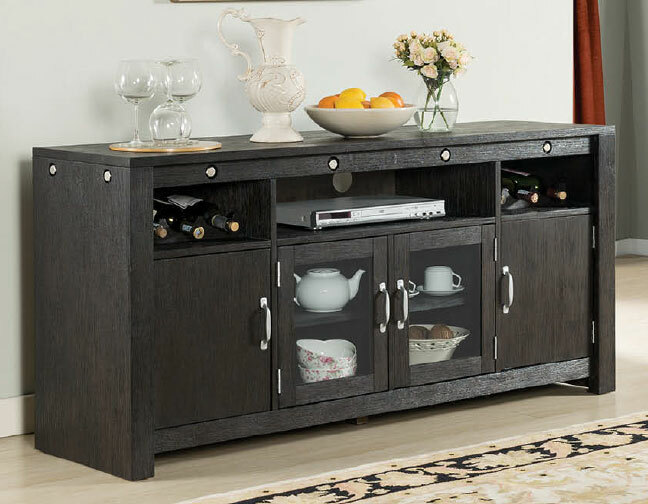 FL Comments: This unique dining collection can be set in different combinations. All chairs, chairs and bench, all hosting chairs, or all dining chairs.